The following article contains spoilers for the upcoming 2018 Mae Young Classic tournament set to air on the WWE Network in September. If you do not wish to have the tournament’s results spoiled please stop reading now. 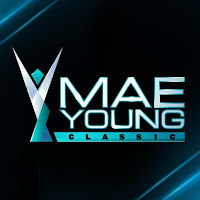 The 2018 Mae Young Classic tournament was filmed over the span of two days from the Full Sail University in Orlando. It has since been revealed that the two finalists, who will go one-one-one at the October Evolution PPV to determine the tournament’s winner, are Io Shirai and Toni Storm. It turns out this wasn’t WWE’s initial plan for the tournament’s finals. Pro Wrestling Sheet reports that Tegan Nox was originally slated to be a part of the finals. Unfortunately for Nox, she suffered a bad leg injury during her quarterfinal match with Rhea Ripley. The entire situation is a heartbreaking one, as Nox missed last year’s MYC with an injury as well. Now that she earned her opportunity to participate in this year’s tournament, and was planned on participating in the finals, she again loses out on a big opportunity due to injury.